Your business trip begins when you step out of your front door and into the taxi. 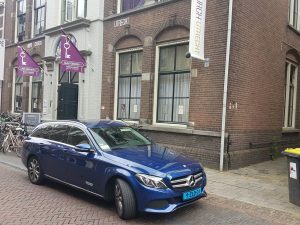 At Sittard-Geleen Taxiservice we do everything in our power to ensure your business trip runs smoothly and successfully. But more importantly still, our taxi is always on time at your door and you arrive on time at your destination! Our experienced multilingual drivers have extensive knowledge of international roads, are friendly, reliable and where necessary, they discuss your requirements and examine the options with you. We regularly transport customers to the following airports, among others: Schiphol, Eindhoven, Düsseldorf, Frankfurt, Brussels, Liège and Paris. Want to find out more? Contact us on the following number: +31 (0)46 4000389.